Physicians prescribe valproate to patients who have different kinds of seizures such as grand mal seizures, myoclonic seizures, complex partial seizures and absence seizures. The effect of valproate to the body is preventing seizures from occurring. The exact mechanism of the drug is not yet clear, but it has been researched that it increases certain chemicals in the brain, thus preventing seizures. This drug was discovered in Europe during the 1960’s. The drug was first used clinically in the 1970’s in United States. The side effects are not good enough reasons for a patient to stop taking valproate to prevent grand mal seizures. The side effects can cause some discomfort but the weight of its primary purpose is more important. Some of the common side effects of the drug are nausea, vomiting, weight gain, stomach cramps, temporary hair loss, tremors, shaking, and irregular menstrual cycle. The occurrence of the side effects depends on how large the dose of the drug is. The side effects may vary from day to day because there is a tendency that the valproate levels in the body may go up and down. Skin rash is a side effect that is commonly seen in people taking antiepileptic drugs. However, this particular side effect is less seen on patients taking valproate. Though valproate prevents grand mal seizures effectively, precautions must still be applied because there can be adverse effects of the drug that can risk the health of the person. First, patients with liver problems should not take the drug. The liver may have a hard time metabolizing the drug, and may cause more harm than good. 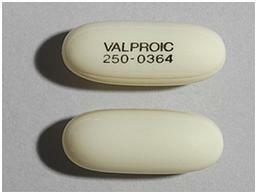 For pregnant women, valproate is contraindicated because it can be teratogenic to the fetus. And lastly, the rule of thumb for prescribing medicines – if the patient is allergic to one drug, never administer it. Severe allergic reactions may compromise the patient’s respiratory functions, thus it can cause death. Grand mal seizures are a serious condition that needs medical attention. Given the right drugs, a patient can live a normal life. However, the drugs taken by a patient should be prescribed by a physician. Regular consultation can also help so that the condition of the patient can be monitored properly. The most beneficial and best way you could help you and your family get ready and deal with grand mal seizures is by examining and studying a lot more about them. So check out more posts on our grand mal seizures site.